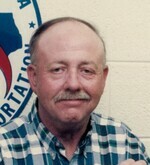 Keith Champion 66 of Mooresboro passed away April 11, 2019. Keith always had a humble attitude and great personality. He had two passions, car racing and horses. He raced cars for many years with McFadden Racing and then later Jimmy Means Racing. Keith received many awards but he was very proud of being named NCWHA’s Senior Horseperson of the year. Keith will be missed by many in the walking horse industry and car racing world. A service will be held at 3PM on Tuesday April 16, 2019 at Mt. Vernon Baptist Church. The family will receive friends at 2:30PM in the church sanctuary. Crowes Mortuary is assisting the family of Keith Champion. Online condolences may be made at www.crowemortuary.com.